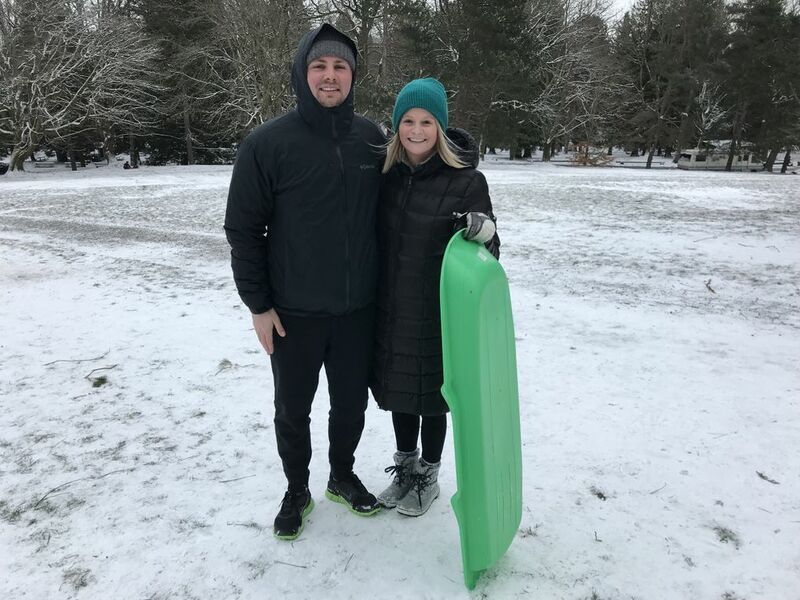 Seattle never feels more like a small town than on a snowy day, when kids and adults alike wander outside to play in the snow, sledding and cross-country skiing in neighborhood parks and golf courses. Complain all you want about how Seattleites can’t drive in the snow, 2 inches is a pathetic reason to call off work or school, this isn’t how it works in the Northeast or the Midwest. 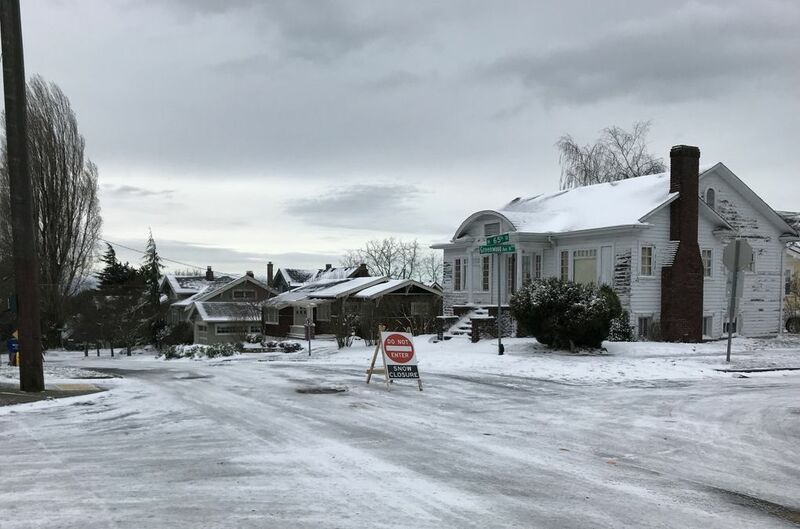 For those of us who grew up on the West Coast dreaming of Hans Brinker-esque winters and getting them once a year if we were lucky, a snow day is a rare, welcome disruption from the bleak, persistent darkness of winter in the Northwest. These are a few ways to spend that most elusive of Seattle days: Going sledding at a neighborhood pocket park. Staying in with hot cocoa and a book. Running errands on a pair of cross-country skis. Relocating dinner plans to somewhere within walking distance. Walking to the coffee shop to study. Walking to the bar for a beer with a friend. A nocturnal walk through streets you know, made glittery and new by the miracle of precipitation. As for me, I recommend the skis. On Monday afternoon, with an inclement-weather day declared and allowing work flexibility for The Times, I hit the icy road in my neighborhood on cross-country skis — OK, so I had to walk the particularly melted patches — and took in a lively scene. At 70th and Sycamore, kids rode saucers down barely iced-over streets, as they have for decades, with a particularly majestic outline of the Olympics in view. People out walking their dogs stopped to chat. A backyard snowball fight carried on across the street. And 65th, normally one of Phinney Ridge’s most infuriatingly busy streets, was closed off between Phinney and Third, where a woman held her two kids back so I could cross the street with my skis. Once I was on the other side, they tobboganed down, screaming in what sounded like a combination of glee and sheer sledding-on-concrete terror. “You going to Green Lake?” asked a woman, gesturing toward my skis. “Headed that way,” I said. 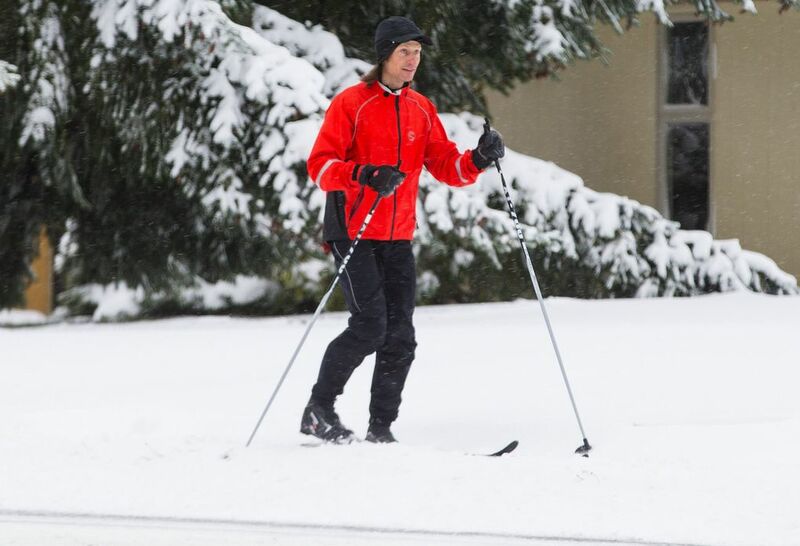 Before 65th juts abruptly into Phinney, I spotted another skier. 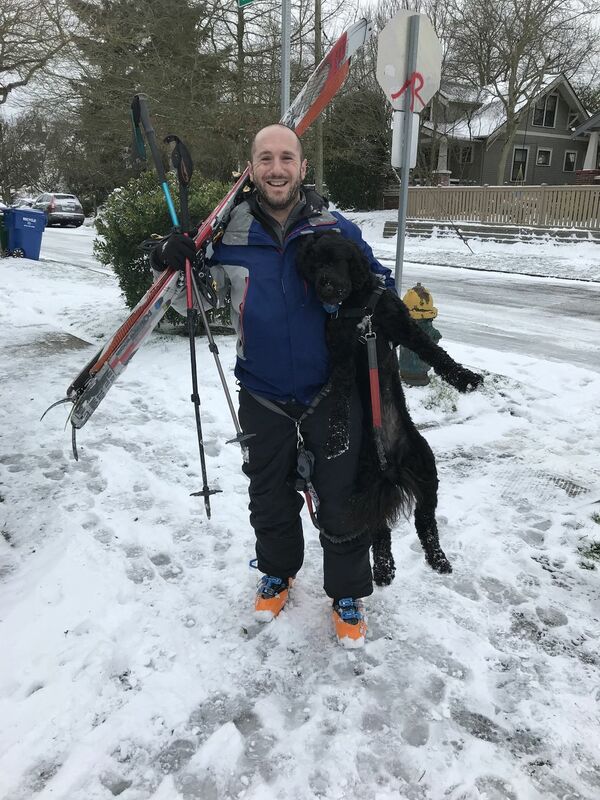 Seattle resident Adam Krotman was carrying alpine equipment, alongside his dog, Lula, a camera-shy beast. They had just come from Woodland Park. Krotman reported mountain biker sightings and parents “bravely sledding” with babies on their laps. At Lower Woodland, tracks through the park left by earlier skiers gave me a route to follow, and almost everyone I met along the way said hello. I passed a dad-and-daughter duo eating snacks while taking a break from their own cross-country ski adventure, but the clear winner for snow enthusiasts was the top of the hill next to the bridge connecting Woodland Park Zoo with Lower Woodland over Highway 99 (itself conspicuously serene). At the top of the hill, groups of sledders and one snowboarder took turns going down. That the snow had thinned and the gravel beneath it looked precarious at best stopped none of them. One group had brought along a plastic sled affixed to a pair of cross-country skis, and a decommissioned, dewheeled skateboard. Seattleites Ellie McIntyre and Christopher Shively had joined the fray from Fremont and Ballard, respectively. They reported seeing “a lot of Priuses sliding around today,” and had plans to head out to Gasworks Parks’ bigger, possibly more terrifying hills later. As we chatted, a man rode down the hill on a bike while holding a sled in front of him — a potentially wobbly scenario, but he stuck the landing. 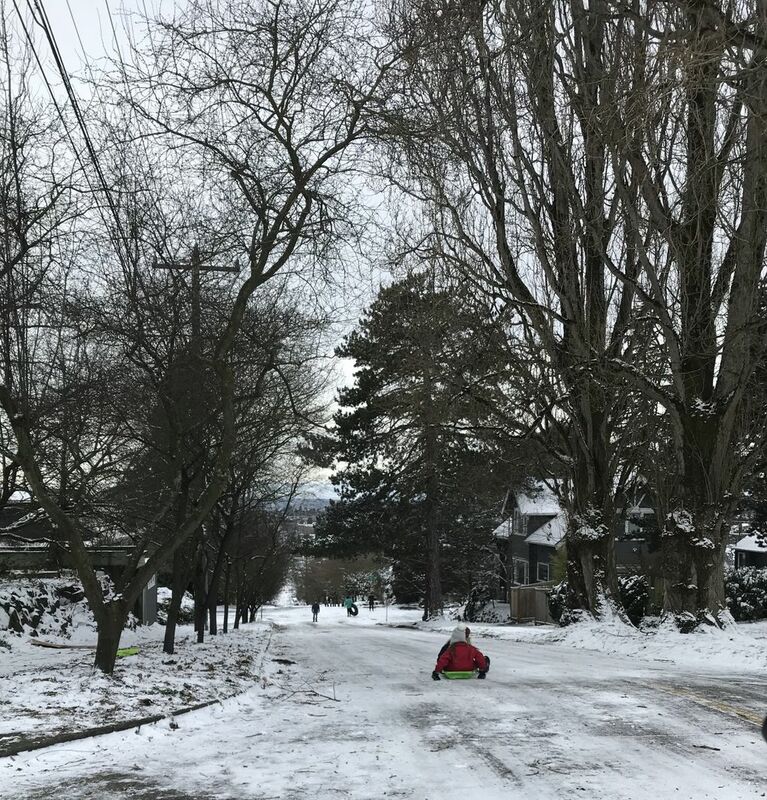 I haven’t sledded into traffic in many years, but there are plenty of other ways to spend a snowy day in Seattle, and everyone who lives here seems to have their own idea of what’s best. The skiers I know have their preferred urban routes — the Aurora pedestrian path is one recommendation; another reports success at the Jefferson Park golf course. A snow-covered city is also a good excuse for a nocturnal walk: By night, your home will look different under the bright quiet of snow, and you might even get a coyote sighting. If you need to go somewhere, consider walking the route you’d normally drive. And if you have the means to stay home, consider another snow-day tradition I heard about today: handing out warm gloves and bus fare to those without.